Wanted to wait a couple of days before writing a summary of the trip so I could reflect on all that went on this summer. 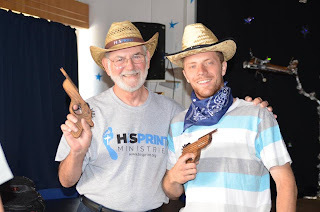 I am not sure I will ever totally grasp all that went on and the total impact that was made, we will have to wait until we are on the other side of heaven to receive that information, but God did teach this old dog some important things that I would like to implement in my own daily life. Feel like I can speak Texan again since I am once again on home soil and feeling good about returning to our homeland, even though it is hot and muggy, the warmth of family far out weighs anything else! Our return home was without incident and all luggage made it safely home. It was a long day of flying and lugging luggage across the globe, but was all worth it when you sit back and reflect on all that God had done through this years HiS PRINT mission team! Hello Folks and appreciate your care and prayers for my time in Poland! Incredible experience and one I will forever remember and reflect on for many years! To see God’s handiwork and bringing all this together is a privilege to be a part of. I made it back to my second home here in Croatia late last night at 11:30 and after getting a shower, a great meal of leftovers and a great nights sleep I want to try and remember all that happened yesterday on my last day in Poland with Coach Robert and his daughter, Kornelia! Hello Folks and thanks for all the prayers for my family. Those prayers have definitely lifted me up as well as my mom and dad. Croatia 2013 - Day 15 Poland Style! I am in a small village about 120 kilometers south of Gdansk. Flew in last night and had a restful night sleep. i am typing from a Poland computer and the keyboard is somewhat different from English and Croatian. 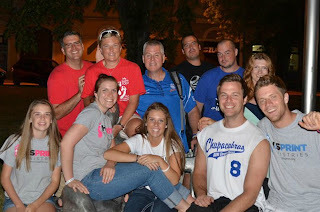 i want to send you what i wrote while traveling yesterday and the reflections of the mission trip thus far.\I had about 3 hours to kill in the Zagreb airport and spent the time taking a small nap and then jounaling. I went out on the deck up stairs and found a couch in the shade and took a little nap. It was about 82 degrees with a very cool breeze. Quite pleasant and will miss that when i return to Houston. Mike and Rachel just went to their gate to head home and we said our goodbyes. Found out they made it home safely! As this day winds down and we look back at all that was done, it is hard to remember it all. Being tired is definitely a contributing factor, but it is more because of all that we do on a daily basis and so many different things and ways to minister. This morning was again the orphanage and when we arrived we found out that over half the children were gone to the coast for a few days. 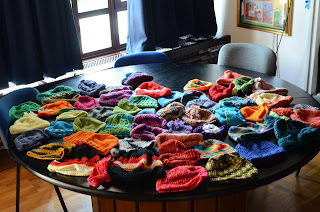 We were disappointed, because today we wanted to hand out all the beautiful hand made knitted hats to the little girls. There were several girls and boys that took one and we gave the rest to the principal and asked that she hand them out and take pictures for us. She was so happy to receive them and told me to say thank you to the ladies who made them, which I will be sure to tell them. The energy level is not at its highest and I am trying to catch up on some much needed rest. Shannon dropped me off at the airport around noon after we spent the morning and my flight to Split is not until 2:30 but excited to go. I will write more once the day is over and I am back in Sisak. Whirlwind trip to Split and back but it was worth every minute of the 18 hours I was there! Monday was a day of new beginnings as well as a day of keeping your promise. When is 60 feet 6 inches to long? When a 52 year old tries to pitch to a bunch of younger Croatians! Yep, you guessed it! I threw in my first competitive game since 1985 and to be honest with you, 46 feet would have been too far. I went from Preacher to Pitcher in all a matter of 5 hours and I pray the preaching was more successful than the pitching! Chris Hill took off in the morning to head back home and made it safely. 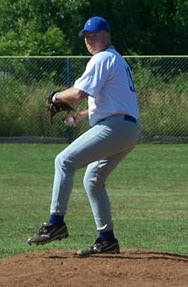 He was such a pleasure to have and to take over most of the baseball activities. 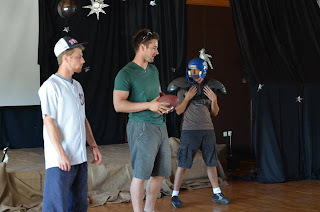 He loves the game, is enthusiastic in sharing Christ and loves these young boys and Storks!